CCI has been producing Blazer handgun ammunition for American Law Enforcement, and Shooters for decades. This ammunition has earned a reputation for being very reliable and not breaking the bank. 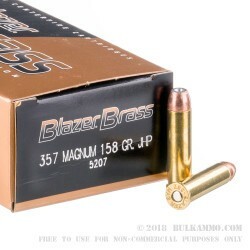 This .357 JHP ammunition is ideal for owners of .357 revolvers, and can be used for target shooting, training, and defensive purposes. 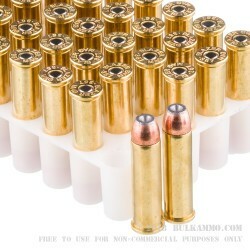 Ammunition features a 158 grain bullet loaded in a brass cases. 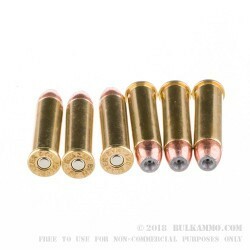 Bullets are true lead cased in a copper jacket. Muzzle velocity is arounds 1248 feet per second with muzzle energy hovering around 550 foot pounds. Ammunition is fully reloadable, with brass cases and boxer primed. Q: Is this brass or aluminum cased? Can it be reloaded? 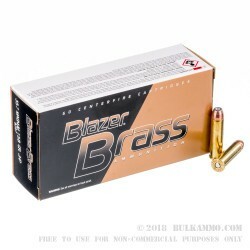 A: This Blazer Brass .357 Mag ammo is loaded with brass cases. They are suitable for reloading.